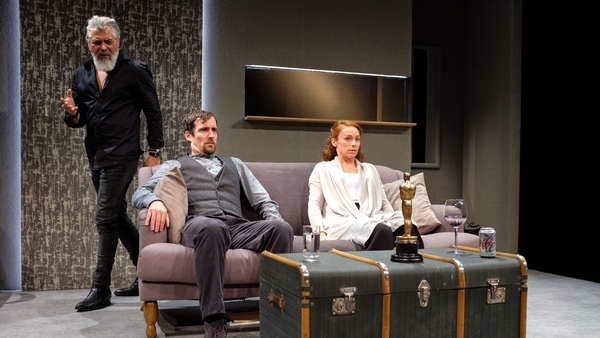 Actor and playwright Mark Doherty writes for Culture about Livin' Dred Theatre Company's eagerly anticipated revival of his acclaimed play Trad, which opens at the Pavillion Theatre, Dun Laoghaire this weekend, prior to a national tour. Trad began its life as a short radio piece- a two-hander, and little more than an extended sketch. It featured two ancient, bickering characters, father and son, bound together, mutually dependent, full of love and resentment equally, in an undefined time and place (anyone ever come across a fella called Beckett?). Anyhow, it went out on RTÉ radio, and that was that. But I soon realised there was more to be done with it. The manuscript lived in a bottom drawer for months, but I could hear the characters screaming at me still. I would go to bed at night and re-run bits of scenes in my head. Or wake up to find the father and son had infiltrated my dreams. I could hear them with great clarity. So out came the script again. Without meaning to sound silly, this is a beautiful and privileged position to be in: the feeling that the characters are leading the writing process. On the rare days when this happens, it really is a thrill to go to work. Around this time, Rough Magic and the Dublin Fringe Festival came up with an initiative for new playwrights, called Seeds. In this environment, with lots of help and encouragement, my little play developed further. A year and a million rewrites later and I felt Trad, as a full-length stage piece, was ready to show to somebody. I bumped into legendary Irish (and true) playwright Tom Murphy and felt confident enough to tell him I had a play. I remember the look in his eye. "It’s not a play until actors breathe life into it. What you have is a script!" Humbled, and ever so slightly injured, I carried on. I was lucky then to find a sympathetic producer. Rose Parkinson, Galway International Theatre Festival director, got a hold of it, and got it! 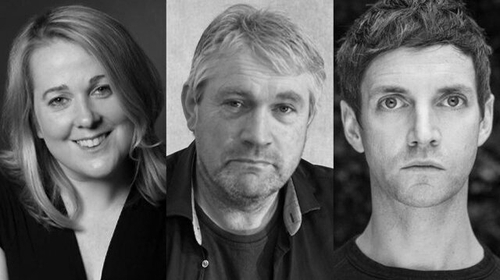 Mikel Murfi directed, and a perfect trio of actors, Frankie McCafferty, Peter Gowan and David Pearse, with a perfect blend of empathy and true comedy bones, turned the script into a play. Jim Doherty added music, and Trad came to life. It’s quite bonkers, quite a surreal piece, and at the time, I felt, quite peculiarly Irish. The youngest character by far is one hundred and is missing an arm. His Da is missing a leg. But this doesn’t stop them setting out on one final short, epic, voyage. Having seen productions of it over the years, in far-flung places, it seems there’s a father/ son relationship at its heart that is recognizable and rings true anywhere. I can’t wait to see what director Aaron Monaghan and Livin’ Dred Theatre Company do with it! Trad is at The Pavillion Theatre, Dun Laoghaire from April 5th-6th, before touring nationwide - find out more here.